Often patients who arrive at our Armstrong Chiropractic Center expect to suffer from arthritis as a normal part of aging. They view the disorder as one sign that it is time to alter their lifestyle and slow down, our Temple, TX chiropractor notes. Fortunately, our practice offers a number of options for arthritis treatment in Temple, TX to help patients enjoy the active lives they love. Many people mistakenly believe that arthritis is a joint inflammation representing just one disorder. In fact, the term applies to two conditions. Healthcare providers commonly refer to osteoarthritis as wear-and-tear arthritis. It is the type most often linked to the senior years or to joint overuse. Osteoarthritis, or degenerative disc disease, is usually the result of misalignment of spinal bones. Discomfort can significantly interfere with normal daily activities. Patients with rheumatoid arthritis in Temple, TX suffer from an autoimmune disorder that affects roughly 1 percent of Americans. The most common signs are pain, swelling, stiffness, and disfiguration of joints. 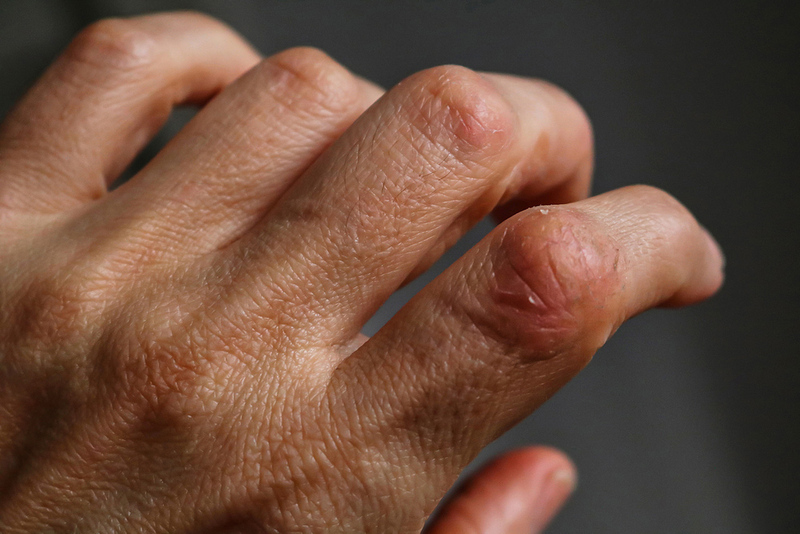 The aftermath is most often visible in a patient’s hands. As is the case with most autoimmune conditions, healthcare providers do not yet know the cause. Treatment from a chiropractor can bring patients with either type of arthritis relief. Help for patients with arthritis in Temple, TX begins with a consultation that includes a comprehensive physical exam, a review of the medical history, and a discussion of lifestyle. It often includes tests such as X-rays. In the case of an osteoarthritis diagnosis, results typically suggest spinal misalignments called subluxations. Pain results when these misalignments cause discs in the spine to wear down more quickly than normal. Our chiropractor has expert training in detecting these misalignments and in treating them with specific types of manual adjustments. Once the spine is once again in proper alignment, pressure on nerves lessens. It is possible for spinal bones to move correctly again. Patients notice a reduction of symptoms and the opportunity for increased activity. Stress has a negative neurological impact on patients with autoimmune conditions. Adjustments also remove stress from the nervous system. This allows the body to relax, rest, and heal itself. Exercise is an important part of managing arthritis. Our doctor can prescribe an individualized exercise program for each arthritis patient. We also provide nutritional counseling and lifestyle advice as part of a customized treatment program. The goal of our staff is enabling all patients at our Armstrong Chiropractic Center to live fuller lives. Our Temple, TX chiropractor, Dr. Stephen Armstrong, has 25 years’ experience providing chiropractic services to patients, many of them seniors. To take advantage of natural arthritis treatment in Temple, TX, call us today at (254) 778-5575 to schedule a consultation. Whether you are suffering from discomfort due to an auto accident, headaches, back problems, a sports injury, or lifestyle issues, we can help you start on the path to wellness.